Matthew Fitt is a published novelist and poet. He is the co-founder of the award-winning imprint, Itchy Coo. Matthew regularly visits schools as a children’s author and leads creative writing workshops for aspiring young writers. 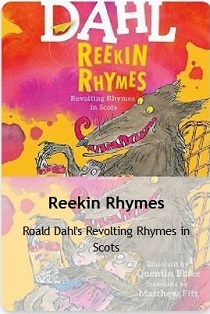 He is an acknowledged expert in the field of Scots language education. He has delivered training for teachers in every local authority in Scotland. A former Brownsbank Writing Fellow at Hugh MacDiarmid’s last home Brownsbank, Matthew has lead a huge variety of writing projects including poetry films, readings, book launches, international poetry translations, editing anthologies, website commissions, classical and traditional music collaborations, children’s radio programmes and other work. Matthew has been an advisor on Scottish Government working groups and worked closely with national organisations on development of Scots language policy. Matthew has spoken on behalf of Scots at the United Nations in New York and is an official Scots translator for the Scottish Parliament.